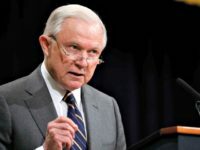 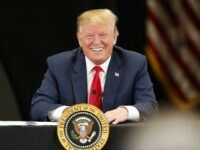 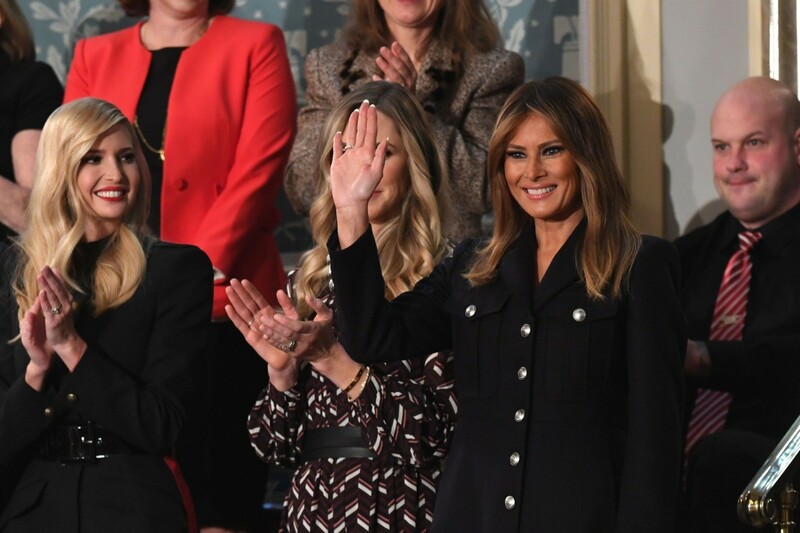 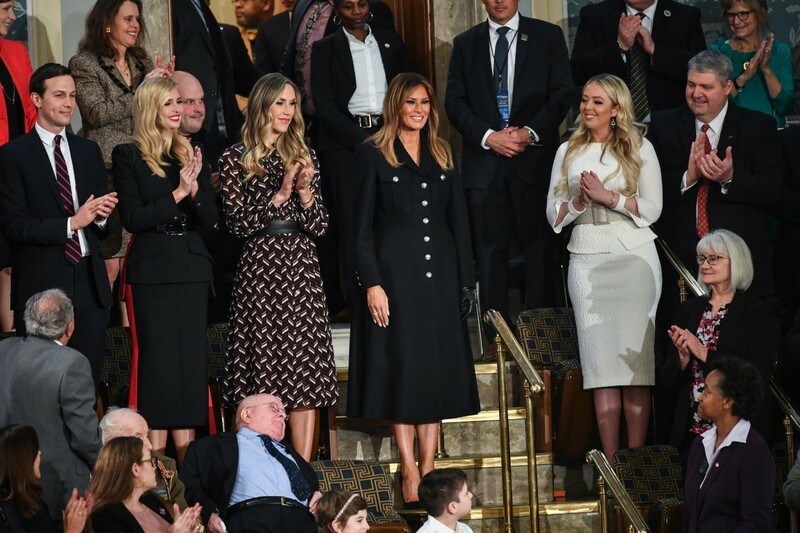 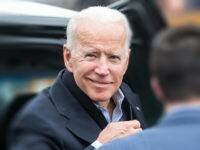 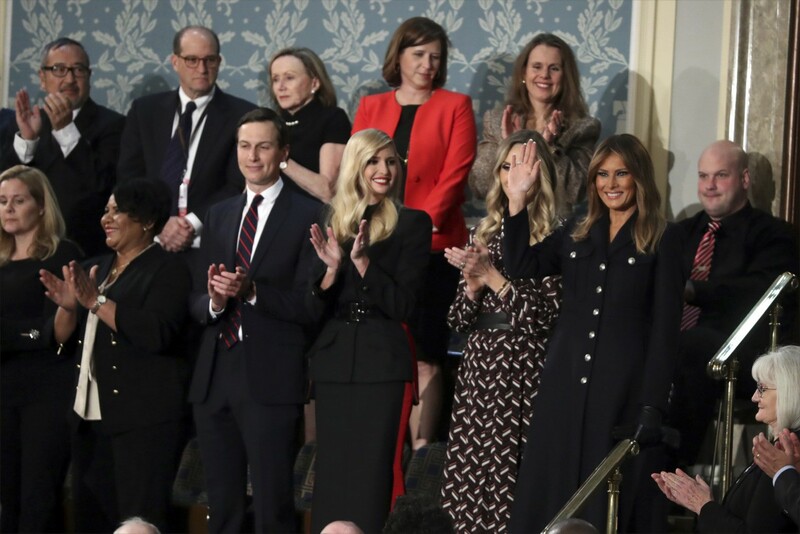 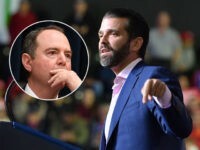 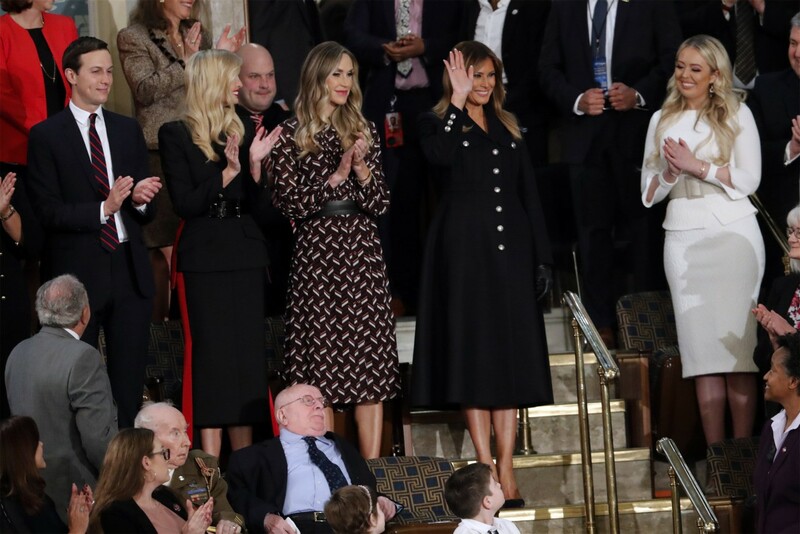 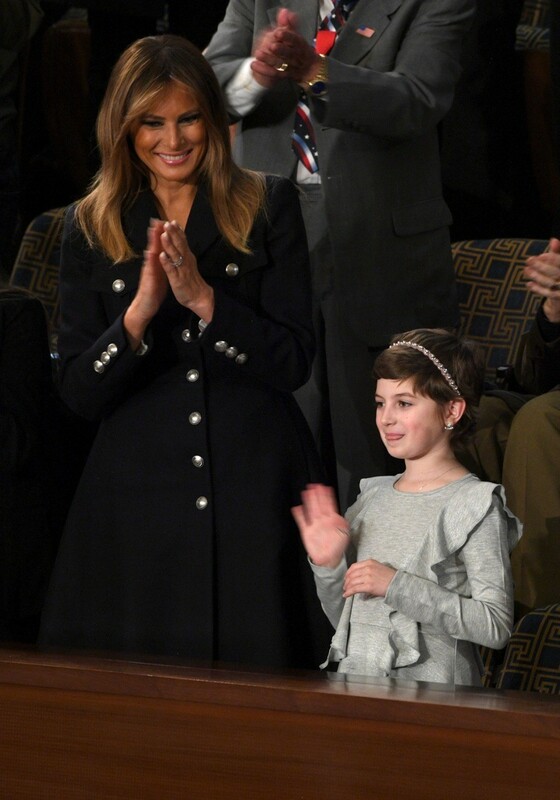 First Lady Melania Trump received a standing ovation before President Donald Trump delivered his State of the Union Address, as she contrasted starkly in style to the white-clad women of the Democrat caucus. 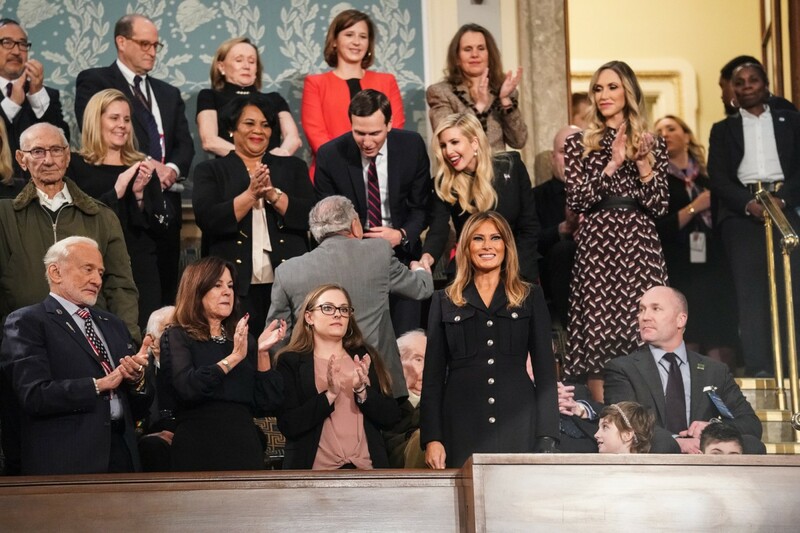 Melania Trump entered the halls of Congress in a military-inspired black cotton blend jersey tailored coat by Burberry, one of the debut pieces from Riccardo Tisci’s highly-anticipated first collection for the British brand. 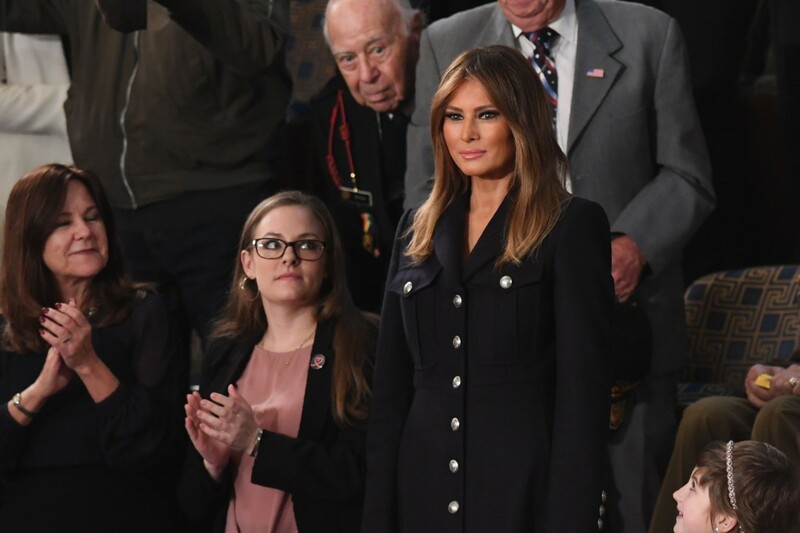 The coat, which features silver shank buttons and breast pockets, retails for about $2,400 at Farfetch. 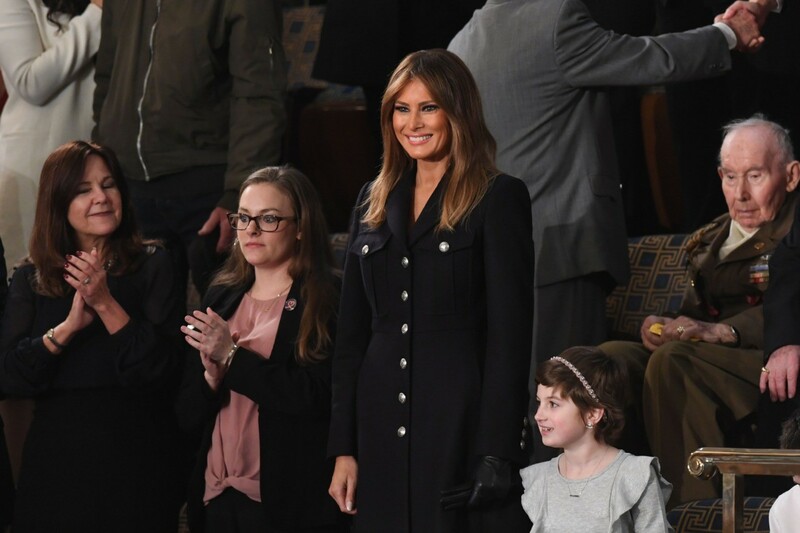 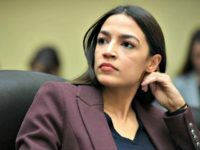 The coat was paired with black leather gloves by Bottega Venetta — her winter style go-to accessory — and a pair of black Manolo Blahnik stilettos. 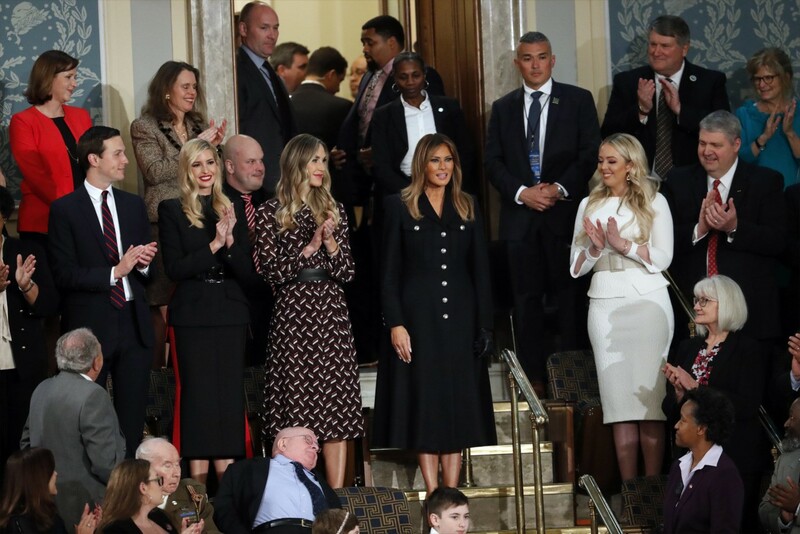 Mrs. Trump, who collaborated on the ensemble with her close friend and personal couturier Hervé Pierre, was in complete contrast in the all-black look from the Democrat caucus of women who chose to wear all white outfits in protest of the president.